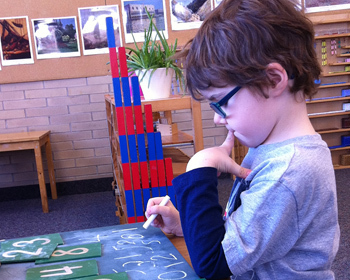 We believe that Montessori is appropriate for all children but may not work for all families. To determine if Montessori will be beneficial for your family, we have developed an interactive admissions process. We invite every parent to tour San Lorenzo Montessori in addition to spending time observing a classroom. We encourage and invite every interested family to come see what we are all about. The family will meet with a Montessori teacher at scheduled interview to discuss the family philosophy, Montessori philosophy and expectations for the child. The teacher works with the child on a few pieces of material, looking at the child's fine & gross motor control, language skills, independence skills and separation from parents. The family will be sent registration and interview forms prior to the meeting. We do not charge an interview fee. After deciding that San Lorenzo Montessori is right for your family, you will be sent a Student Enrollment Agreement. Your child will be enrolled when the signed Agreement has been returned with a $250 non-refundable deposit. San Lorenzo Montessori offers rolling admissions throughout the school year. If there isn't an opening for your child, they will be placed on a waiting list and you will be notified as soon as an opening becomes available. 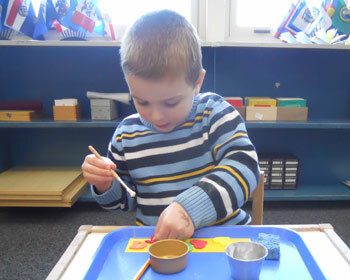 Montessori is an approach to human development from birth to maturity and enables children to realize their potential. Children are admitted without regard to race, religion, or national origin. Children move from one class level to the next when it is agreed by the teacher & parents that the child will be successful with moving on, and, as space is available. Considerable time is taken in assessing the move a gradual and smooth transition. 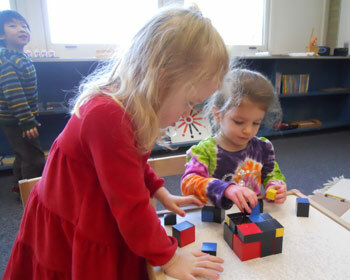 Parents whose children enter the Primary class are asked to think in terms of a three-year commitment to this learning community, including the kindergarten year.